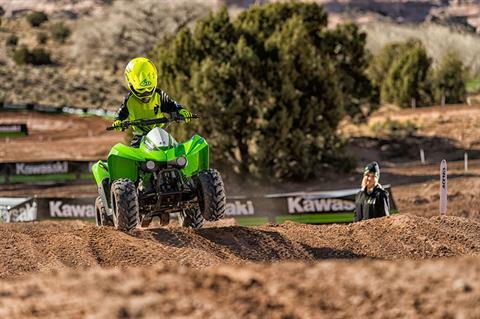 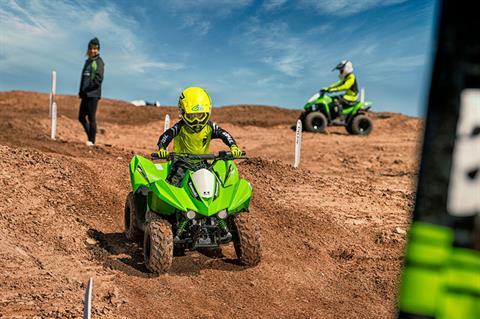 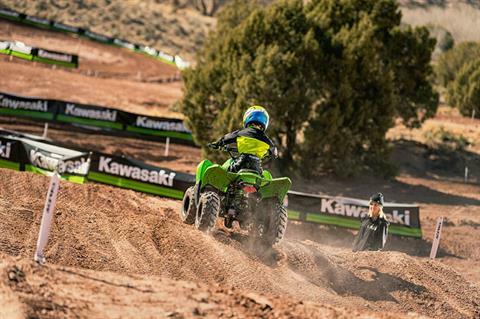 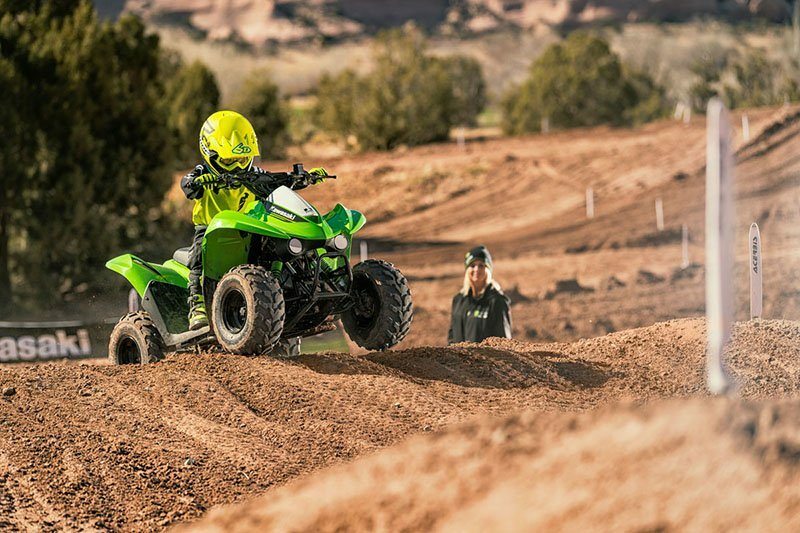 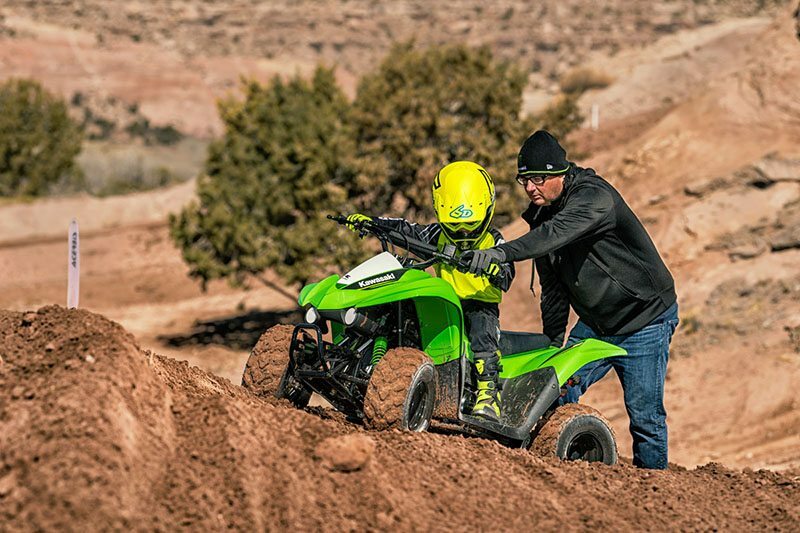 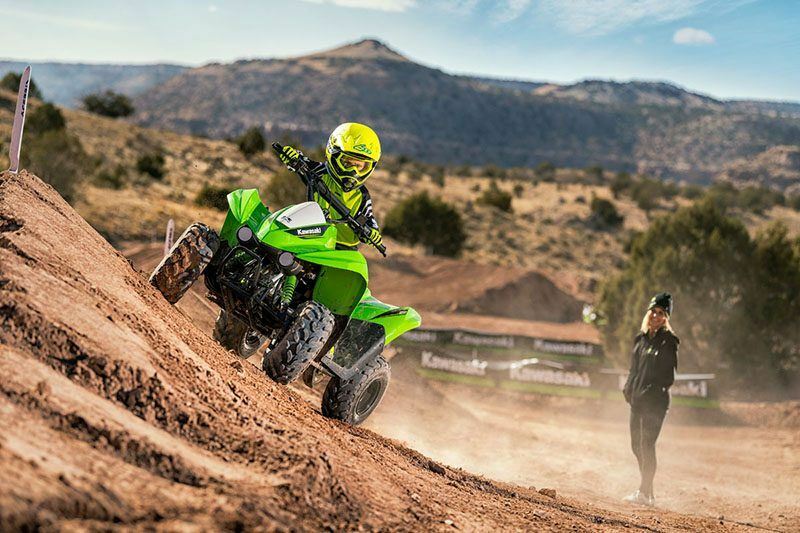 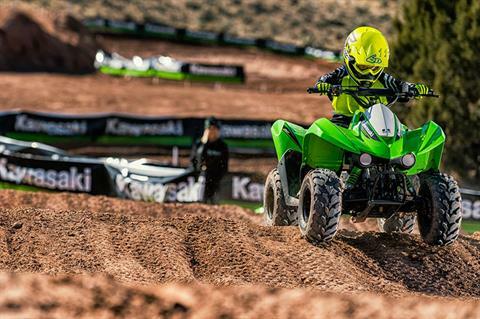 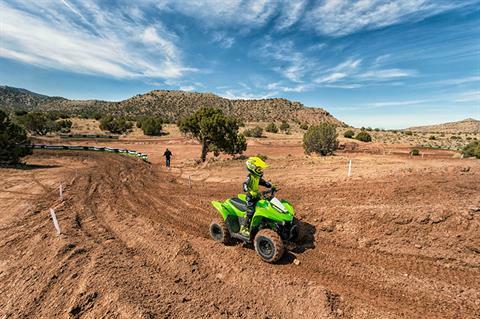 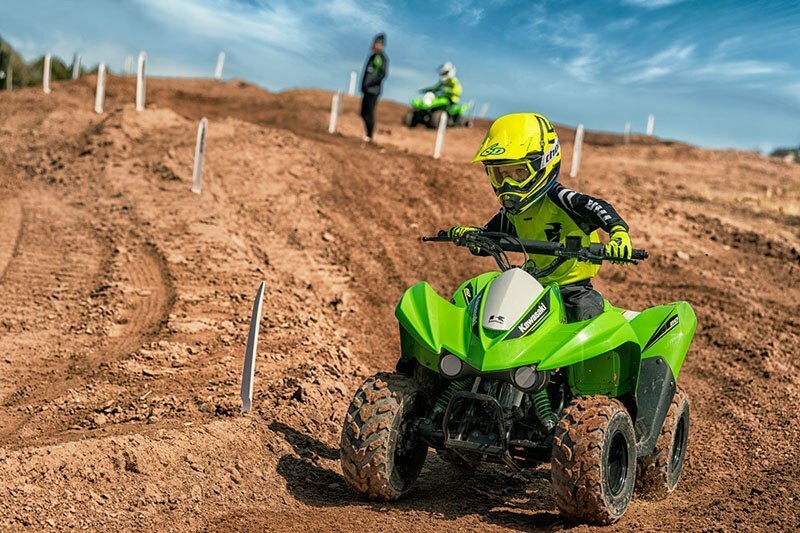 THE KFX®90 ATV PROVIDES THE IDEAL BLEND OF SIZE AND PERFORMANCE FOR RIDERS 12 AND OLDER THAT ARE JUST GETTING STARTED OR STEPPING UP FROM A 50cc ATV. 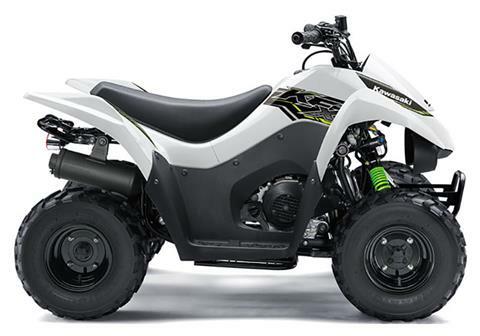 89cc 4-stroke engine and automatic transmission delivers broad power with plenty of usable torque. 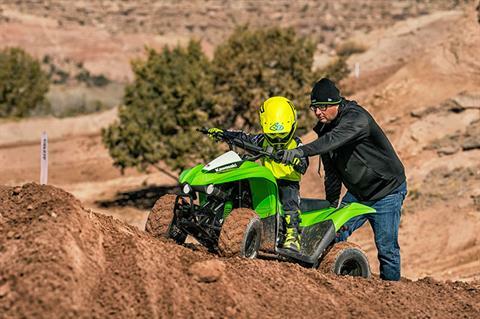 Push button electric start provides simple and reliable starting. 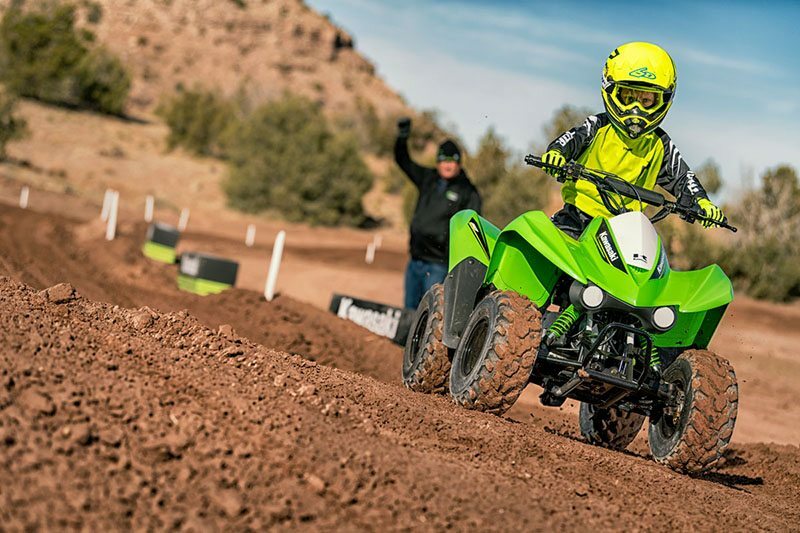 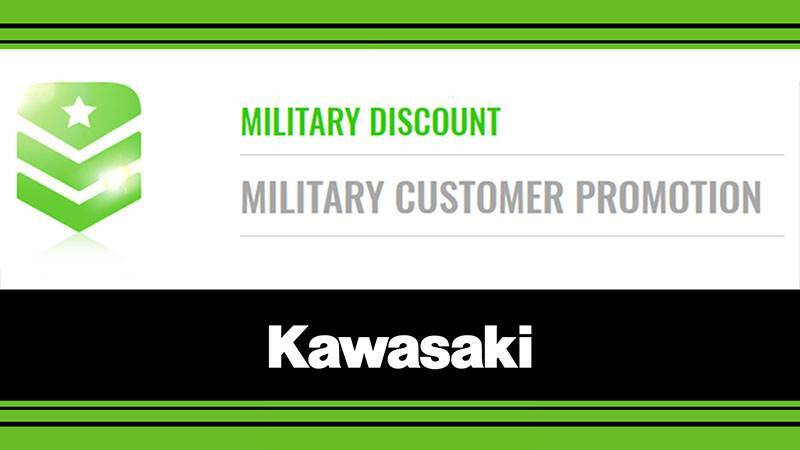 Parental controls such as an adjustable throttle limiter and Continuously Variable Transmission (CVT) collar allow the speed and performance to be adapted to rider experience. Keyed ignition helps prevent unauthorized use. 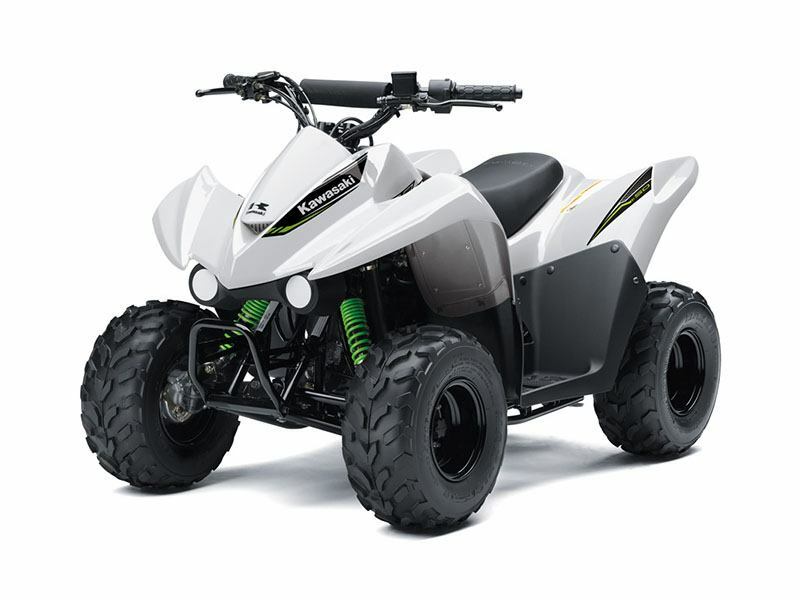 Full floorboards help to protect feet. Single shock rear suspension and independent A-arm front suspension soak up the bumps and contribute to sporty handling. 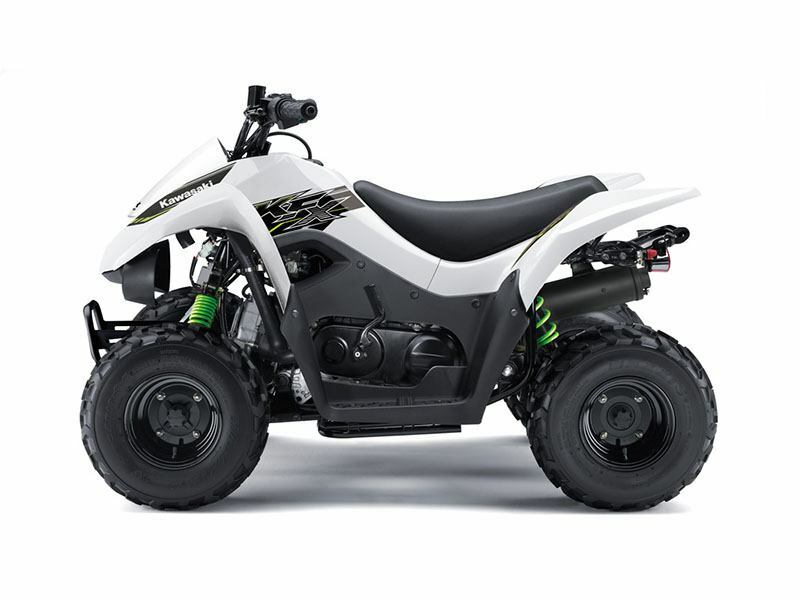 Sporty styling featuring Lime Green or Bright White bodywork provides race-inspired good looks. At rear axle - 3.9 in. Rear - Swingarm with single shock absorber; 2.9 in.